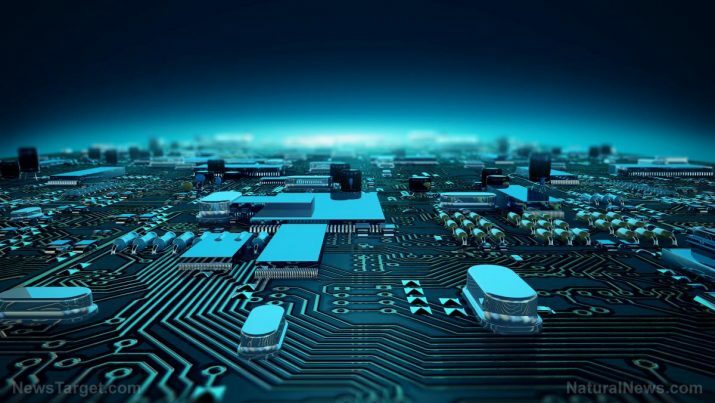 A joint American-Israeli research team reported a new way to protect heavily-overworked mobile devices like smartphones and tablets from circuitry damage that affects signal transmission, reported ScienceDaily. The researchers were based at the Advanced Science Research Center (ASRC) in New York City. They published their findings in the journal Nature Electronic. Mobile devices have become a significant part of people’s daily lives. However, its constant use leads to the appearance of defects in their electronics, and they tend to break down when it’s least convenient for their users. With that in mind, Andrea Alù – director of the Photonics Initiative of the ASRC – led a team of researchers from The City College of New York, the University of Texas at Austin, and Tel Aviv University to find a way to protect electronics from constant wear and tear. For inspiration, they looked at the findings of the British researchers who won the Nobel Prize in Physics in 2016. Their British predecessors discovered that certain properties of matter could be retained in some materials, even though the matter constantly changes form or shape. One of these properties was electrical conductivity. “In the past few years there has been a strong interest in translating this concept of matter topology from material science to light propagation,” said Alù, who alongside his researchers accomplished two goals in their study. “First, we showed that we can use the science of topology to facilitate robust electromagnetic-wave propagation in electronics and circuit components,” he said. Second, his research team demonstrated that the natural robustness associated with those topological phenomena could be self-induced by the signal moving through the circuit. Furthermore, they could achieve this robustness with the appropriate nonlinearities in circuit arrays. To test out their theory, the researchers made a band-diagram of the circuit array using nonlinear resonators. A change in the signal band would cause a shift in the topology of the band diagram. The electronic circuit was deliberately designed to support a trivial topology, and it did not protect defects at low signal intensities. The researchers introduced defects into the array to simulate wear and tear from heavy usage. Understandably, the signal transmission and the circuit’s functionality suffered. Once the voltage went past a specific threshold, however, the topology of the band-diagram automatically adjusted to compensate. Even though the researchers introduced defects, the signal transmission remained steady. The outcome at higher voltages proved that the circuity underwent topological transition. The change compensated for any defects or damage, allowing the device to maintain its normal level performance. “As soon as we applied the higher-voltage signal, the system reconfigured itself, inducing a topology that propagated across the entire chain of resonators allowing the signal to transmit without any problem,” said A. Khanikaev, the co-author in the study. According to him, a nonlinear system can undergo an unorthodox transition that increases the robustness of signal transmissions even if the circuity is defective or damaged. “These ideas open up exciting opportunities for inherently robust electronics and show how complex concepts in mathematics, like the one of topology, can have real-life impact on common electronic devices,” said Yakir Hadad, the lead author of the study. He believes there is potential to apply this discovery to nonlinear optical circuits, as well as two-dimensional and three-dimensional nonlinear metamaterials used in nanoscale devices. Find out other scientific advancements on FutureScienceNews.com.